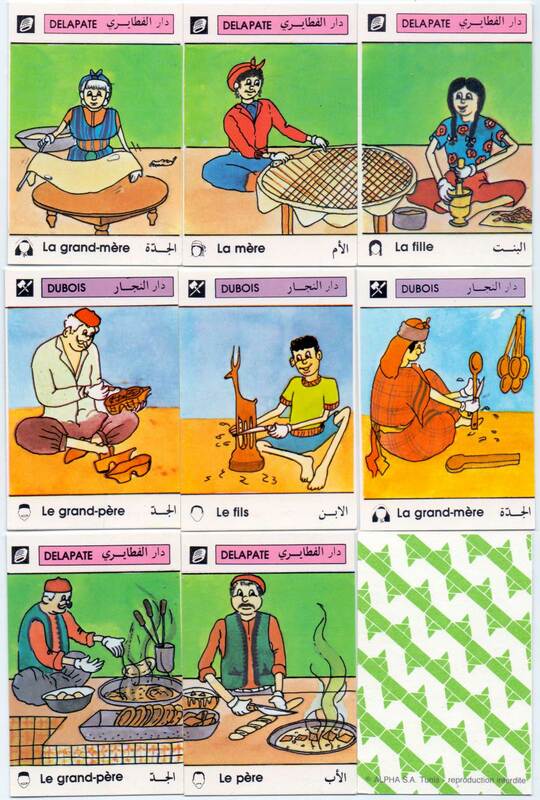 “Les Artisans Tunisiens” Jeu de Sept Familles / Families card game published by Éditions de la Mediterranée, Alpha S.A., Tunis. The game has seven sets of families each containing six members, who practise various crafts and professions. The names of the families are a pun on their professions. 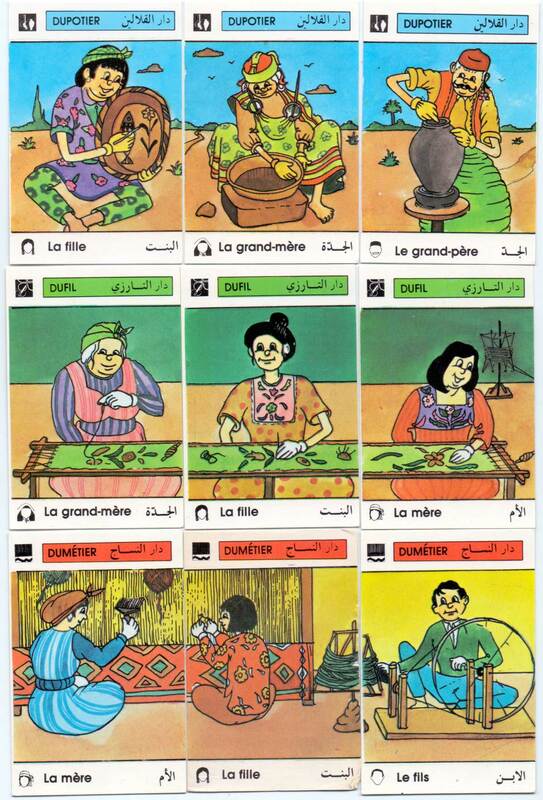 The inscriptions on the cards and the rules printed on the box are in French and Arabic. 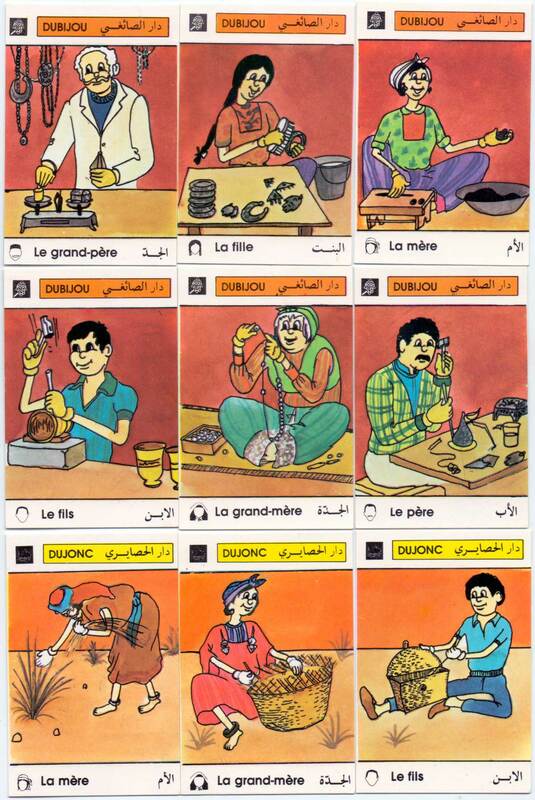 Above: “Les Artisans Tunisiens” Jeu de Sept Familles published by Éditions de la Mediterranée, Alpha S.A., Tunis, c.1980. 42 cards in box.